I grew up in and around Salem, and never thought of the city as a place where native culture still exists. 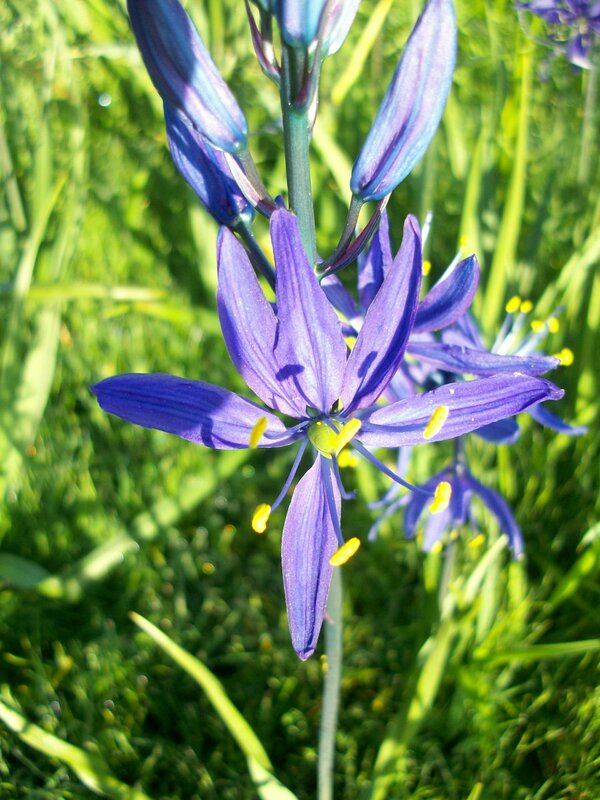 Some years ago I discovered that camas still exists inside the city limits at various parks and open spaces. 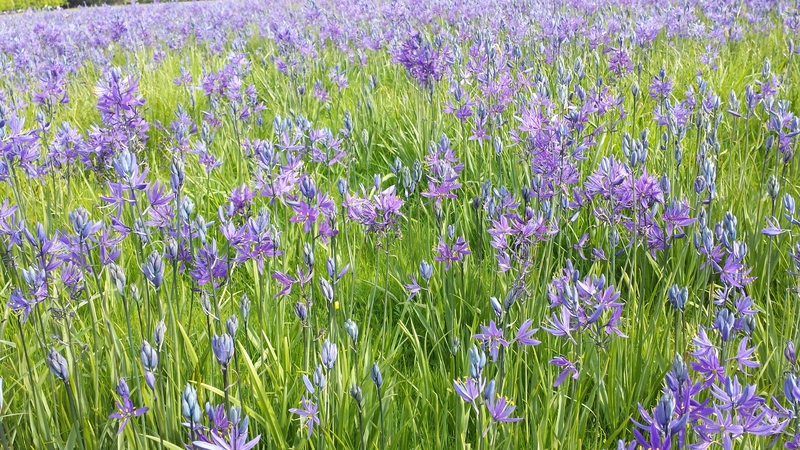 For a few years now I have been visiting the Park in Salem in around May and taking photos of the camas there. The camas there is very well established and Salem parks makes sure to not mow until the camas has gone to seed. The adventure begins at the northside parking lot, under the oaks, and continues toward the baseball fields. beyond the stadium is another big patch. Last year I met a lady who had taken to volunteering at the park to clear up the hillside by the stadium. It had been overgrown with blackberries. Now its a camas mecca. 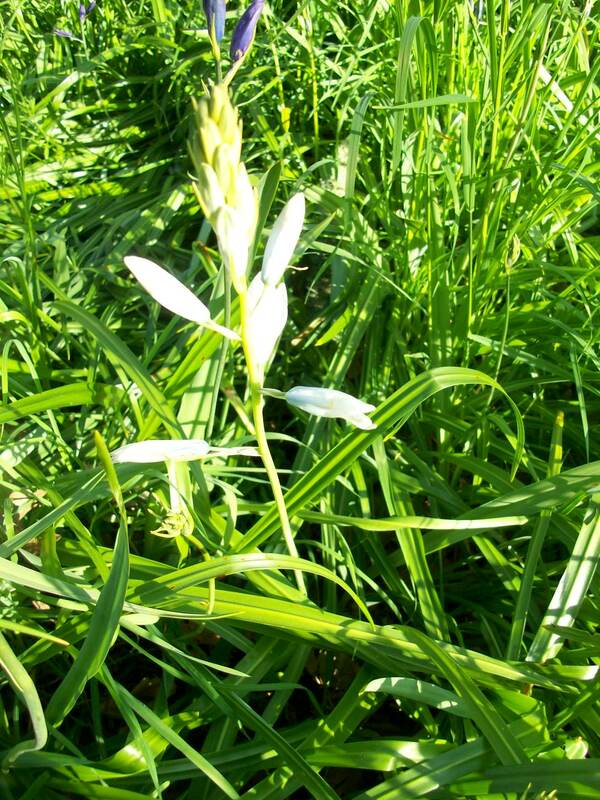 The other part of camas that I am very interested in is the way the flowers orient not as a perfect star, but with one petal headed straight at the ground and the other petals faced more upwards. This is a very interesting bit of artistic information. It took several years for me to see this. Not being a botanist, I did hear form a student that there is a name for this phenomenon. It is believed that the orientation of the petals helps bees orient to the pollen. 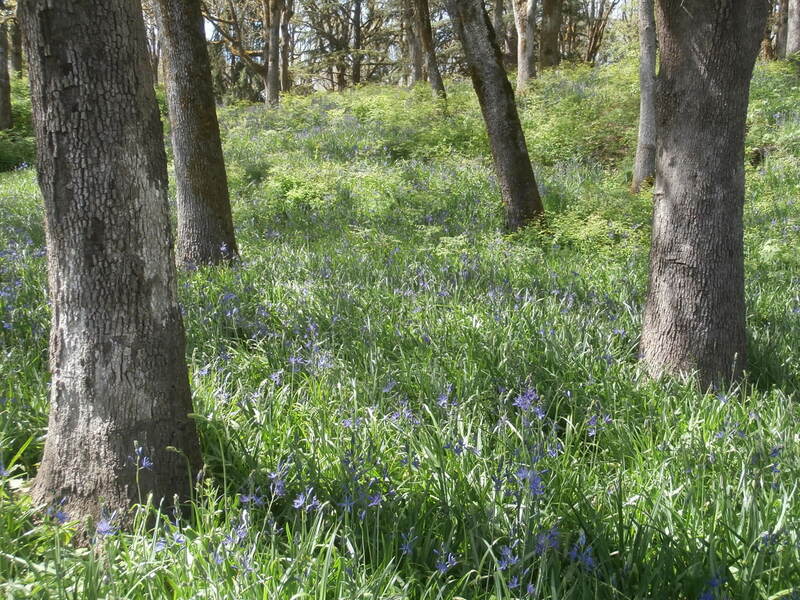 One other location in Salem also has a lot of camas, that is the State Fairgrounds. There in the parking lots by Sunnyview Rd. 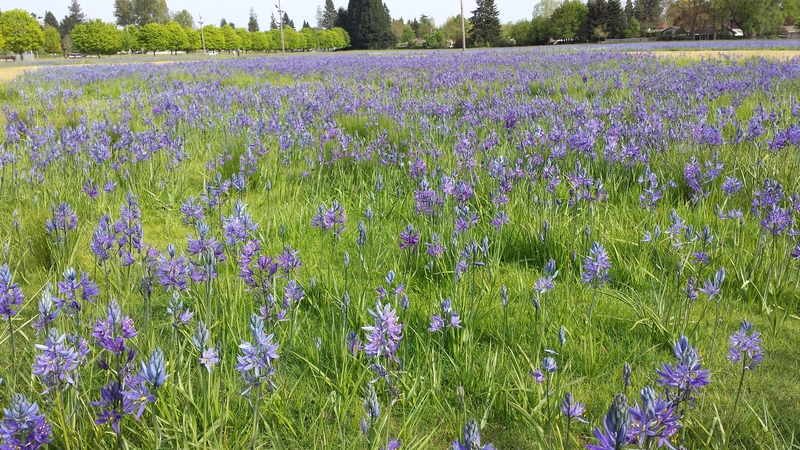 and 17th, there are thousands of camas on both sides of the street. This is an amazing field to exist still in Salem. Finally the best part of camas is the fact that its a food. 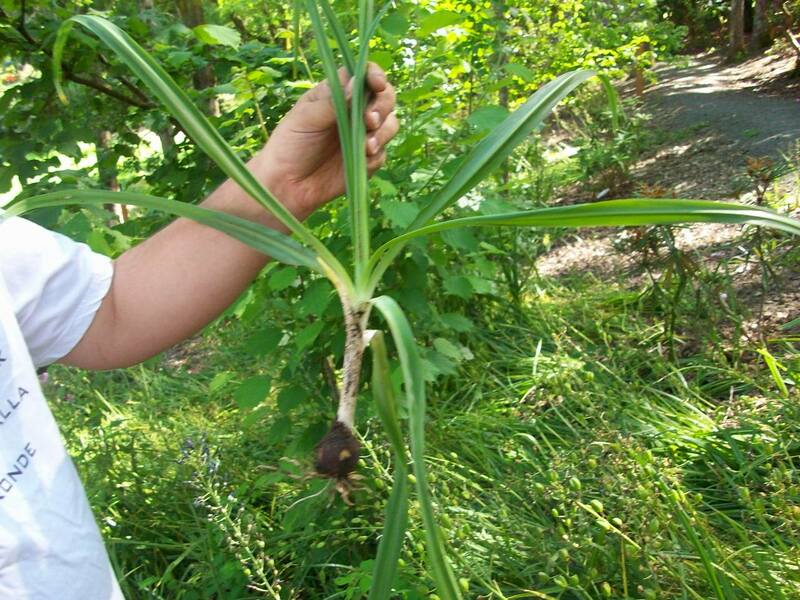 Native peoples have been eating it for many thousands of years. Properly prepared it is a wonderful source of starch.